Global Conflicts: Palestine Serious Games Interactive (Simon Egenfeldt-Nielsen, Nick Price & Nicholas Franics) (Denmark), Serious Games Interactive (Denmark), 2007 Download it Now ! 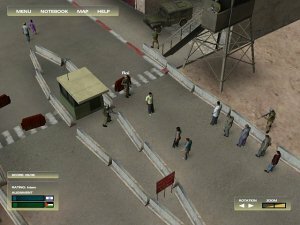 Global Conflicts: Palestine is a serious game. 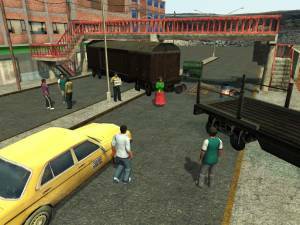 It was developed by Serious Games Interactive for Mac OS X and Microsoft Windows. The player assumes the role of a freelance journalist who has just arrived in Jerusalem facing challenges. The goal is to create and get an article published for a newspaper by collecting quotes from the dialog in the game. The player can either get information by building up trust with each side or take a more confrontational approach to dig out information. In the end, the story with the most news-value will get the best exposure. The player must be careful what they submit for print, because it will affect their standings with both sides.